DermoPath Laboratory is a histopathology laboratory specialized in the processing and reporting of skin biopsies. The specimens are received from contributing dermatologists or other medical specialists from the USA and abroad. Dr. Ramon L. Sanchez, Director of the Laboratory, is American Board certified in Anatomic Pathology (1976), Dermatopathology (1983), and Dermatology (1988). He obtained his M.D. at the Facultad de Medicina, Zaragoza (1971) and his Ph.D. at the Universidad Autonoma de Barcelona (1982), both in Spain. 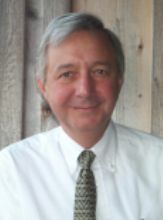 Presently, he is Clinical Professor of Dermatology and Pathology at UTMB, Galveston. He is Director of a one-year Dermatopathology Fellowship based in the Department of Dermatology at UTMB since 1991. DermoPath Laboratory accepts specimens from patients subscribing to any Health Plan. Specimens arrive fixed in formalin, except in the case of immunofluorescence when a transport media is used . Paraffin blocks and/or slides are also welcome. Reports are generally FAXed within two working days of receipt of specimens. Reports are also mailed unless otherwise specified. Regular contributors to Dermopath are able to download their reports from this Webpage.